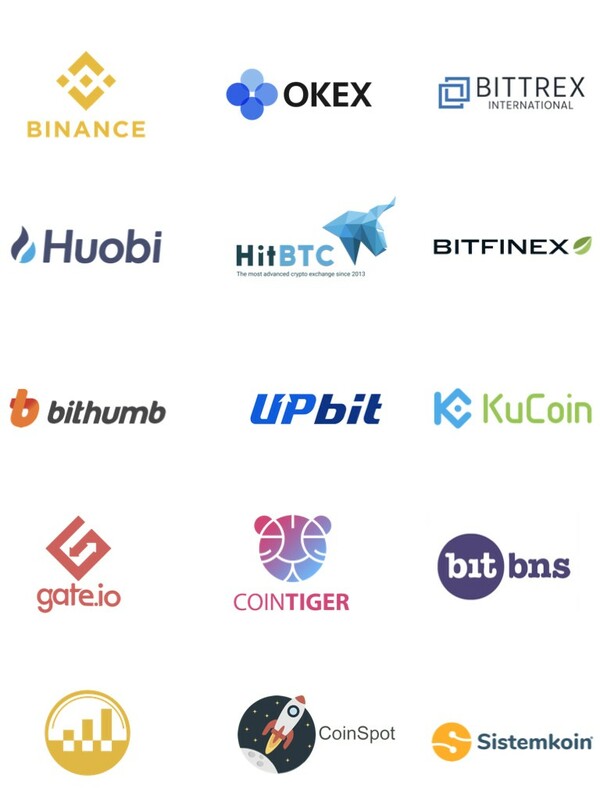 Following our crowdfunding* on Binance Launchpad on January 28, 2019, BitTorrent (BTT) is now available for trading on leading exchanges as of January 31, 2019, according to official announcements made by the exchanges. 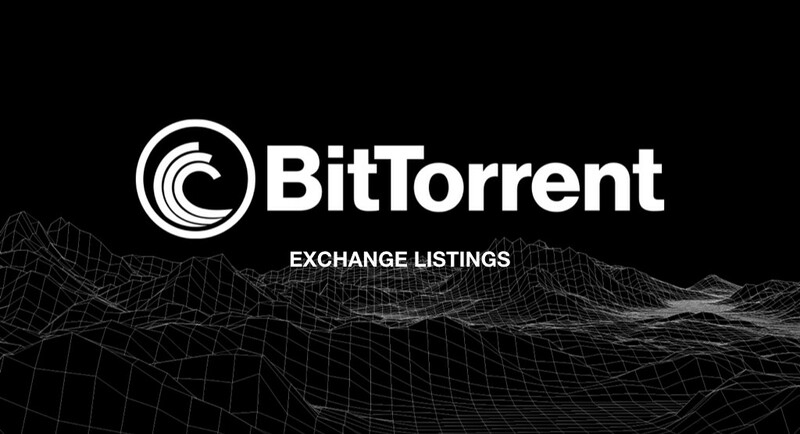 The above exchanges have listed BitTorrent (BTT) as of March 4th, 2019 at 8 PM (PST). The list is not final and will be updated as needed. Binance: Trading pairs available now BTT/BNB, BTT/BTC and BTT/USDT. OKEx: Trading pairs available now BTT/USDT, BTT/BTC and BTT/ETH. Bittrex International: Trading pair available now BTT/USDT. Huobi: Trading pairs available now BTT/BTC, BTT/ETH, BTT/USDT. Hitbtc: Trading pairs available now BTT/BTC, BTT/ETH, BTT/USDT. Bitfinex: Trading pairs available now BTT/BTC and BTT/USD. Bithumb: Trading pairs available now BTT/KRW. Upbit: Trading pair available now BTT/KRW. KuCoin: Trading pairs available now BTT/BTC and BTT/ETH. Gate.io: Trading pairs available now BTT/USDT and BTT/ETH. Cointiger: Trading pair available now BTT/USDT. Bitbns: Trading pair available now BTT/INR. TRX Market: Trading pair available now BTT/TRX. Coinspot: Trading pair available now BTT/AUD. Sistemkoin: Trading pair available now BTT/TRX, BTT/BTX, BTT/USDT and BTT/ETH. Exrates: Trading pair available now BTT/BTC, BTT/ETH and BTT/USD. Satowallet: Trading pair available now BTT/BTC, BTT/ETH, BTT/USDT and BTT/SATOS. Coinexmarket: Trading pair available now BTT/TRX, BTT/BTC, BTT/ETH, and BTT/USDT. ABCC: Trading pair available now BTT/BTC, BTT/USDT. MBAEX: Trading pair available now BTT/BTC, BTT/USDT, BTT/MDP. Coinex: Trading pair available now BTT/BTC, BTT/BCH. BitForex: Trading pairs available now BTT/BTC and BTT/USDT. 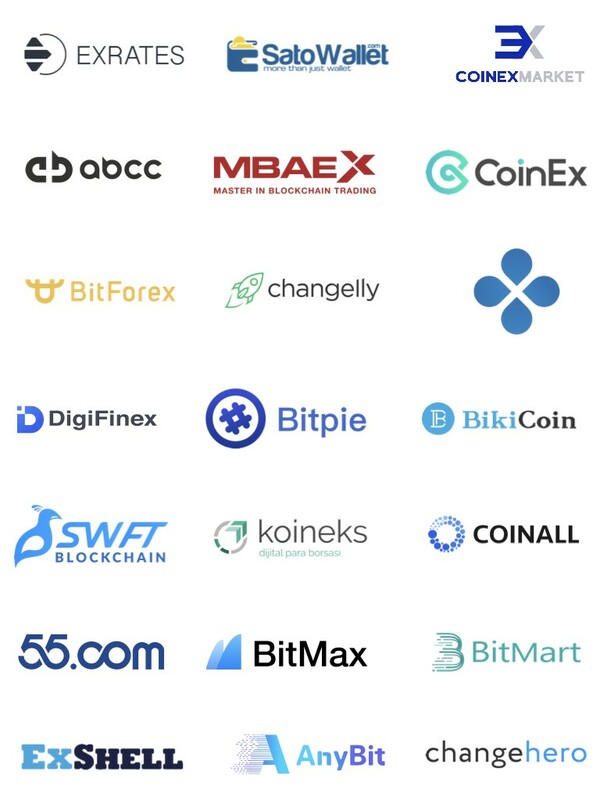 Changelly: Possible to buy BTT with 130+ cryptocurrency or a credit card. Cross Exchange: Trading pairs available BTT/BTC and BTT/USDT. DigiFinex: Trading pairs available BTT/BTC and BTT/USDT. BikiCoin: Trading pair available now BTT/USDT. SWFT Blockchain: Now supports BTT. Koineks: Trading pair available now BTT/TRY. CoinAll: Trading pairs available now BTT/BTC, BTT/USDT and BTT/ETH. 55.com: Trading pairs available now BTT/BTC, BTT/ETH and BTT/USDT. BitMax: Trading pairs available now BTT/BTC and BTT/USDT. BitMart: Trading pairs available now BTT/BTC and BTT/USDT. ExShell: Trading pair available now BTT/TRX. AltCoinTrader: Trading pairs available now BTT/ZAR. CHAOEX: Trading pairs available now BTT/BTC and BTT/USDT. Cashierest: Trading pair available now BTT/CAP. Spicex: Trading pair available now BTT/BTC, BTT/USD, BTT/USDT, BTT/ETH, BTT/BCH, BTT/LTC. More exchanges listing BitTorrent (BTT) will be added to this article as they are announced. For more information about the exchanges and wallets supporting our airdrop program, please read this article. For more information regarding the listing of BitTorrent (BTT) or any news related to our token, please only refer to our official website, or connect with us via social media on: Facebook, Twitter, Telegram, Discord, Instagram, LinkedIn, YouTube, or on Justin Sun Twitter and Facebook.